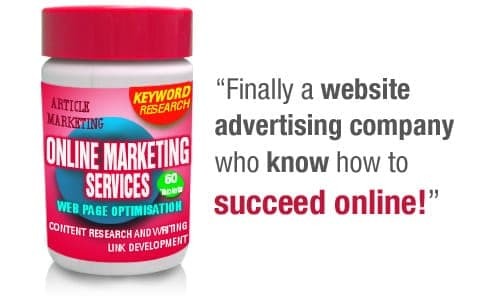 Looking for a Website Marketing Company? Are you using social media effectively? Are you driving valuable traffic to your website? Are you confused about the whole thing? Where ever you are with on-line marketing we can help. We are an on-line marketing agency based in Aberdeen who understand what it takes to make an impression on-line. We help companies like yours establish their on-line presence using search engine optimisation, link development, on-line PR and article marketing. There used to be a saying in web land "build it and they will come". It probably wasn't true then and it's certainly not true now! In today's world of e-business a website is as common as a business card and if you want your website to deliver business into your organisation it needs managing, developing, growing and promoting. That's where our on-line marketing and website advertising services play their part. We'll put together a plan tailored to your company's needs to make sure your website delivers. We'll blend pay per click with link development, content development, on-line PR and article marketing to deliver quality traffic and potential clients to your website.